McAfee Endpoint Protection provides anti-malware protection. It also protects against unauthorized devices. This indispensable protection reinforces endpoint and data security by combining device control and critical email and web security. Due to the comprehensive device control included, it is possible to prevent critical data from leaving your company via removal media, such as USB drives, Bluetooth devices, etc. Moreover, the advanced email and spam protection intercepts spam and harmful viruses by scanning inbound and outbound emails. This simple security suite integrates all these essential functions into a single and manageable environment. This environment is ideal for safeguarding traditional desktops and other systems that have restricted exposure to Internet threats. McAfee Endpoint Security 10 helps you control the threat defense lifecycle with technologies that communicate and learn from each other in real time to combat advanced threats and deliver insights with actionable threat forensics – all in language you can easily understand. McAfee Endpoint Security 10 shares events against potentially dangerous applications, downloads, websites, and files in order to protect your productivity and get visibility into advanced threats. 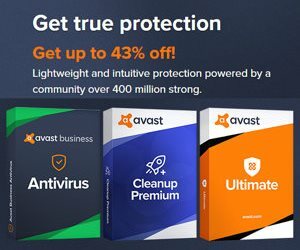 Stops viruses, Trojans, worms, adware, spyware, and other potentially unwanted programs that aim to reach your devices and confidential data. McAffe’s technology automatically detects and blocks malware, even unknown threats, in real time, before it spots your desktop and servers. Neutralizes spyware before it spreads. Blocks, detects and removes malicious software that takes your information or displays unwanted advertisements. Stops hackers and identity thieves from gaining access to your computers and data by instantly alerting users to any attempted intrusions. Ensures that you and your company have safe access to email and web applications. McAfee cuts off more than 99% of spam, viruses, and phishing attacks before it reaches inboxes. McAfee SiteAdvisor provides color-coded website ratings in order to notify users of potentially malicious sites. Security administrators can also block access to specific or entire categories of websites. Prevent loss of sensitive data by restricting use of removable media. (USB drives, DVDs and other removable storage devices). Monitors and restricts data copied to these devices to keep it always under company‘s control. Mangepolicies, compliance and reporting from a single, centralized console (the McAfee ePolicy Orchestrator). Instantly see and take action to adjust security coverage as things happen.